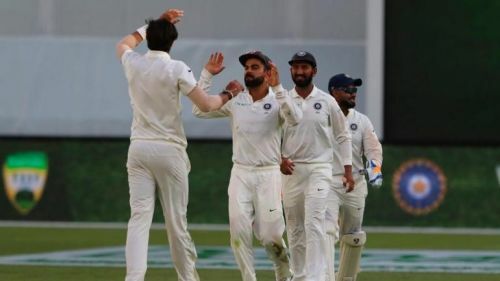 The second of the four-match Domain Test series between Australia-India started off in fascinating fashion, with the hosts and the visitors taking turns to try and establish authority at different points in the game. After the Aussie openers held center-stage with a century-stand, Indian bowlers were quick to respond with some wickets. This was followed by Marsh and Head staging a comeback, with India getting ahead eventually by sending them back to the hut. 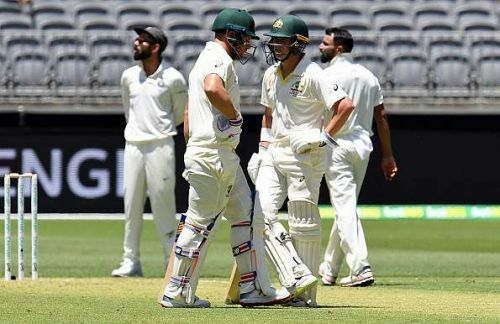 Skipper Tim Paine and Pat Cummins saw through the remainder of the day with no further damage, and it can be said that the Aussies are narrowly ahead of the visitors, judging by their final scoreline of 277/6 in 90 overs, at Stumps on Day 1. Mentioned and described below, are some of the key points to discuss, at the close of today's play. Trailing the series 0-1 and batting first on a supposed green top in Perth's newly-constructed Perth Stadium (which is not the WACA as opposed to the misconception among many cricket followers), Marcus Harris and Aaron Finch did very well to craft the first century opening stand by any Test team against India in the past 46 innings. Thus, India's second-longest streak ever - for not conceding century opening stands, was brought forth to an end. It is hard to say who among Harris and Finch were more proactive in their approach. Regardless, both batsmen played well alongside each other, racking up 112 runs in 35 overs before Finch (50, 105balls, 6x4) was trapped in front by Bumrah, after a similar attempt in the previous ball. Harris continued and eventually was caught at slips by Ajinkya Rahane off Hanuma Vihari. He had made 70 off 141 balls, including 10 fours. The flourishing Perth wicket rarely showed signs of holding surprises, and the batsmen were able to score freely, especially the first 50 runs of their ton-stand.